You have successfully completed the Evaluation Test. You were recommended for the hardest preset Difficulty in the Evaluation Test. You have performed a Mid-Session Save. You finished a race using a custom car setup. You completed your first 25%+ distance race. You finished a race at every circuit. You completed your first race in Season Challenge. You won your first race in Season Challenge. You completed your first race in Career. You won your first race in Career. You have taken pole position in Career. You qualified last, but finished first in Career. You moved to another team mid-season in a long Career. You completed a Short Season in Career. You won the Drivers' World Championship in a Short Season Career. You completed a Medium Season in Career. You won the Drivers' World Championship in a Medium Season Career. You completed a Full Season in Career. You won the Drivers' World Championship in a Full Season Career. You have set a clean lap time in Time Trial. You have set clean lap times at 10 different circuits in Time Trial. You set a time in a Time Attack scenario. You have set a time in all of the Time Attack scenarios. You have earned a medal in Scenario Mode. You earned every Bronze medal in the very easy set in Scenario Mode. You earned every Bronze medal in the easy set in Scenario Mode. You earned every Silver medal in Scenario Mode. You earned every Gold medal in Scenario Mode. You have completed a race in Split Screen. You have completed your first race online. You have completed 25 races online. You have completed 50 races online. 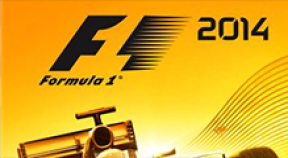 You have won the Drivers' or Constructors Championship in Co-op.